Scratching is a normal, healthy activity that all kitties love and need to keep them in tip-top shape, but sometimes the places they choose to flex their claws aren’t ideal. 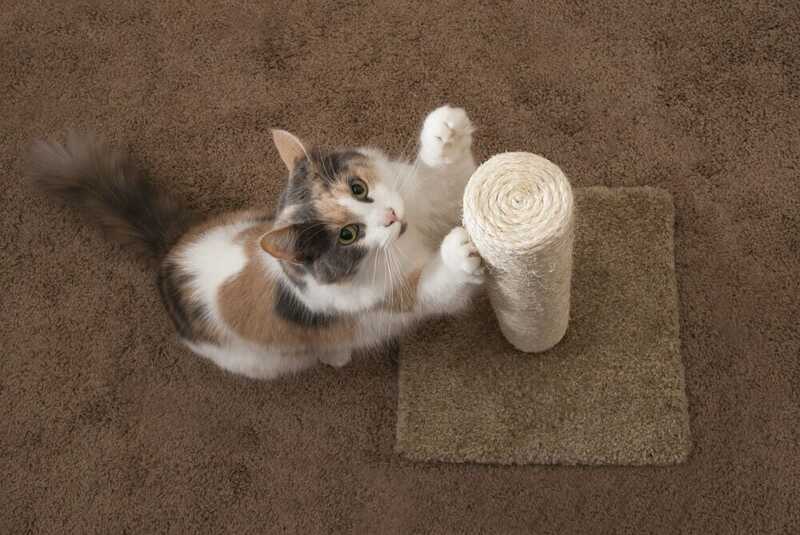 So how can you stop your furry pal from carving up the carpet or wrecking that rug? What makes a purrfect scratching spot? If you want to help your kitty learn where to put their claws, make sure they have a sturdy scratching post to stretch out on. 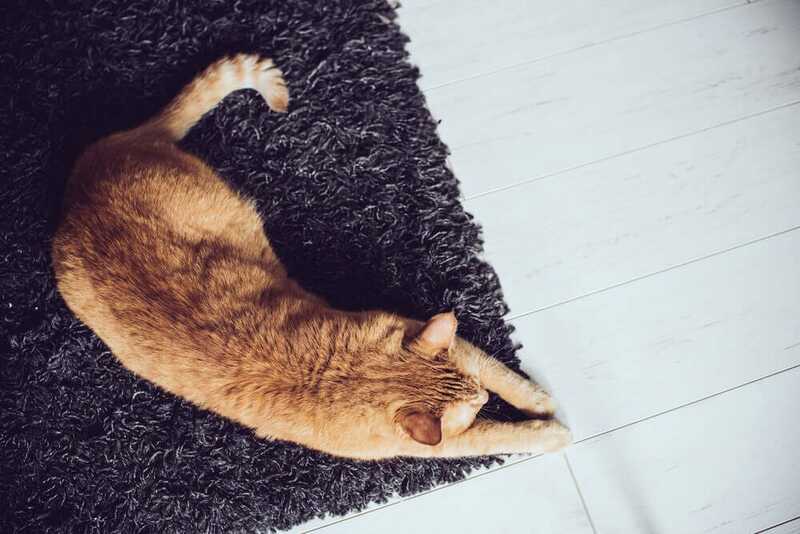 Whether you choose a vertical or horizontal post, make sure your cat can fully stretch out on it, and place it near their favourite spots - such as by their bed. 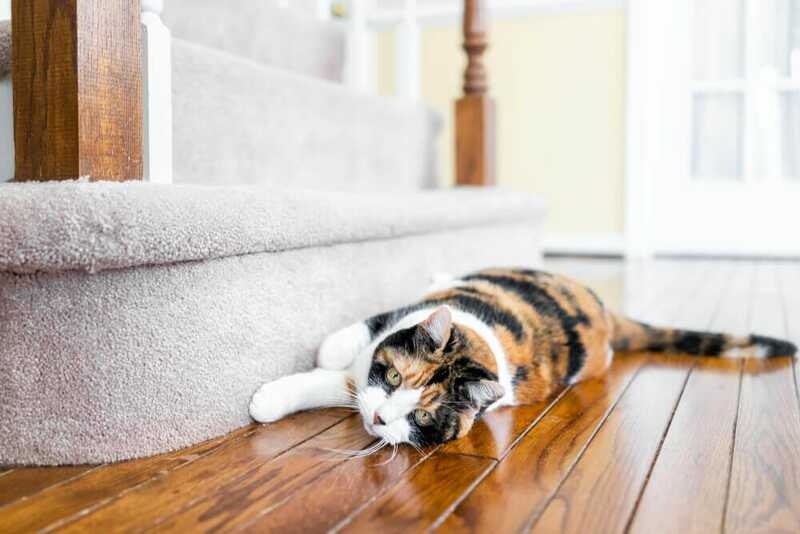 If your cat has taken a liking to your carpets, don’t worry, you don’t have to put up with a threadbare, scratched up living room. With a little encouragement, it is possible to redirect those claws by considering your kitty’s needs and giving them a better place to scratch. First, clean away any unwanted markings with a little soap and warm water, then apply FELIWAY CLASSIC Spray on the areas you DON'T want your cat to scratch. Next, apply FELISCRATCH by FELIWAY on a scratching post or other area where you DO want your cat to scratch. The "happy messages" in FELIWAY CLASSIC Spray will help reassure your kitty and reduce scratching from stress, while the "territory messages" in FELISCRATCH by FELIWAY will help teach your cat where to scratch! By using the tips above you should soon have a confident, happy cat who knows not to claw the carpets! However, you can always provide a little extra support and security for your kitty with a FELIWAY CLASSIC Diffuser. Working to reduce stress and reassure your cat with “happy messages”, the diffuser adds extra environmental comfort to calm your kitty and reduce any stress-related scratching.